Kelly is a founding partner of Evans Fears & Schuttert LLP. His practice is focused on trials of product liability cases. Kelly has tried cases for major pharmaceutical, medical device and automotive companies in many courts throughout the country. Kelly knows how to select juries and present complex facts and arguments in a manner that is simple to understand and results in verdicts for his clients. Duke University School of Law, J.D./M.A. Chad is a founding partner of Evans Fears & Schuttert LLP. Chad’s practice is concentrated on product liability cases involving pharmaceutical and medical device products. His practice also includes business torts, employment, and intellectual property litigation. In addition to defending key company witnesses throughout the country, Chad has tried cases resulting in successful outcomes for his clients. Jay is a founding partner of Evans Fears & Schuttert LLP. His practice is primarily focused on handling product liability matters for manufacturers of pharmaceuticals, medical devices, automobiles, motorcycles, consumer/recreational products, and industrial equipment. Jay also handles premises liability, asbestos, vehicle/trucking collisions, medical malpractice, commercial disputes, and employment matters. 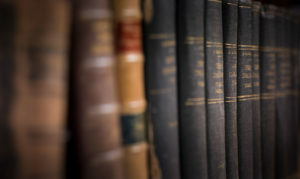 Jay’s trial experience includes numerous jury trials in federal and state courts in Nevada and around the country for product manufacturers and corporations, involving claims of product defect and catastrophic injury or wrongful death.